The kids' market was extremely competitive during fiscal '08. In fact, it was the most crowded market for video games for kids in recent memory. With a tough Pixar comparison to Cars [Ratatouille] and new competition from Nintendo's first-party titles — as well as new music games — our traditionally strong kids' business did not meet expectations. Wait, back up. Since when is Nintendo "new competition"? Like, since 1985?! 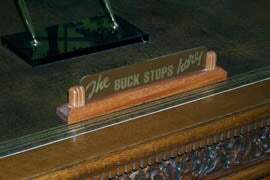 Our advice: Stop passing the buck.